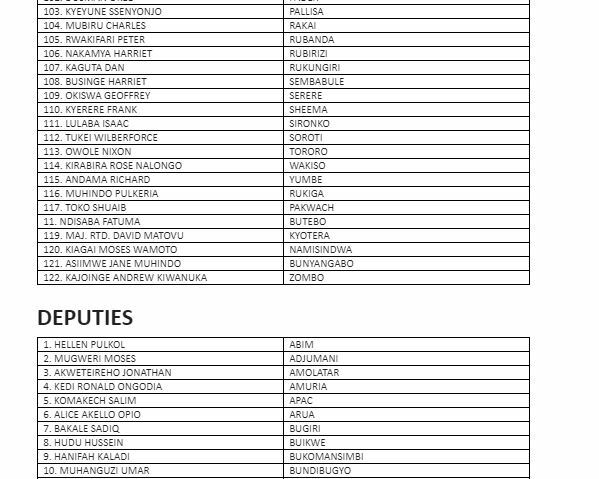 KAMPALA – President Museveni’s long-awaited list of new Resident District Commissioners (RDCs) and their deputies has finally been released. 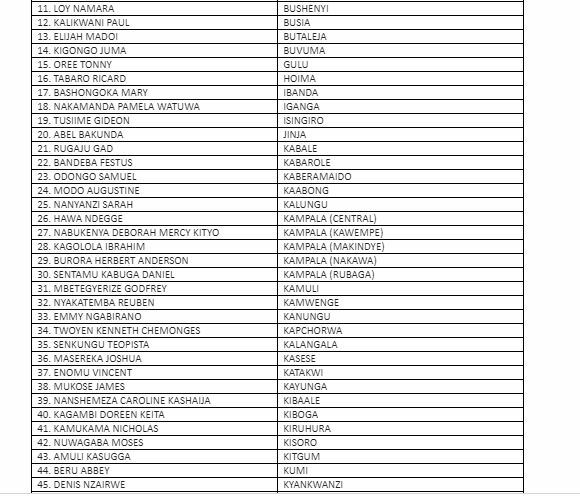 The list, which was released by the minister for Presidency, Esther Mbayo, on Wednesday, indicated that 122 RDCs and 82 deputy RDCs were appointed while 35 incumbent ones were dropped from the list. 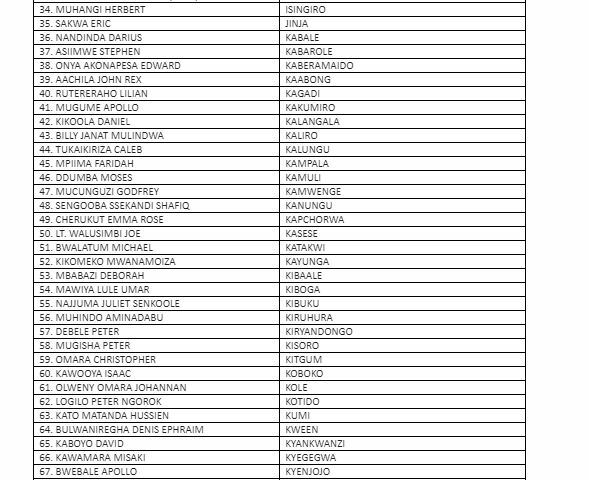 “Fellow countrymen and women, in June this year, you are all aware there was information concerning RDCs and Deputy RDCs that was circulated on social media and I was non-committal I did not comment about it because I hadn’t gotten a fully authenticated list from the appointing authority. 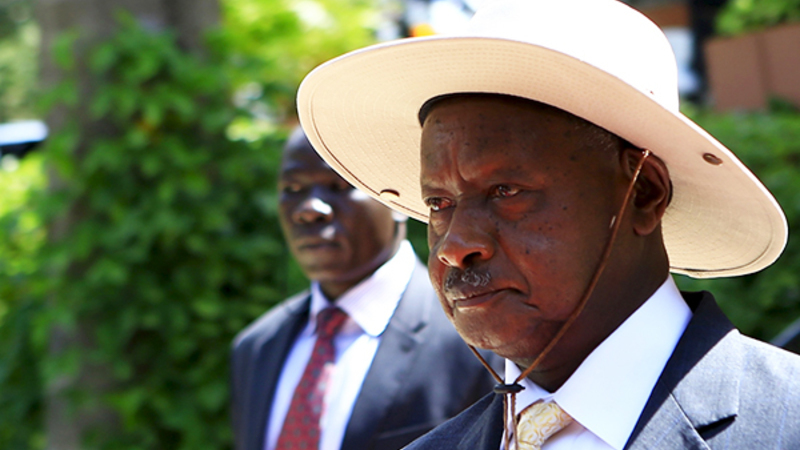 This morning, I received the instruments of appointment from the President of the Republic of Uganda,” Ms Mbayo said. She also revealed that three RDC who had implicated in land grabbing scandals were also fired. “We have taken measures and I remember three RDCs were suspended. 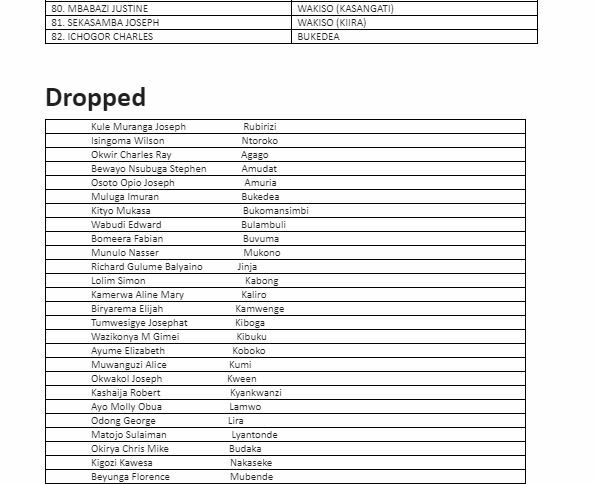 These three who include Ian Kyeyune of Wakiso, Florence Buyenga of Mubende and Ambrose Mwesigye of Katakwi have been dropped from this new list. Dropping is a good punishment and we shall continue disciplining them (RDCs) in case of any misconduct” she said. 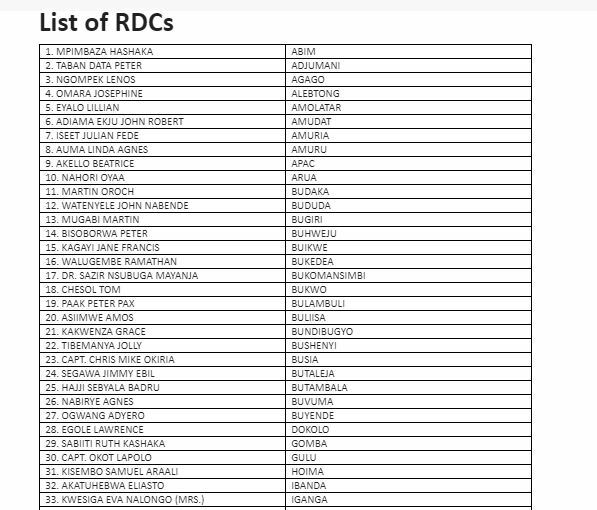 The President retained the three officials he had appointed over three months ago to RDC Secretariat. 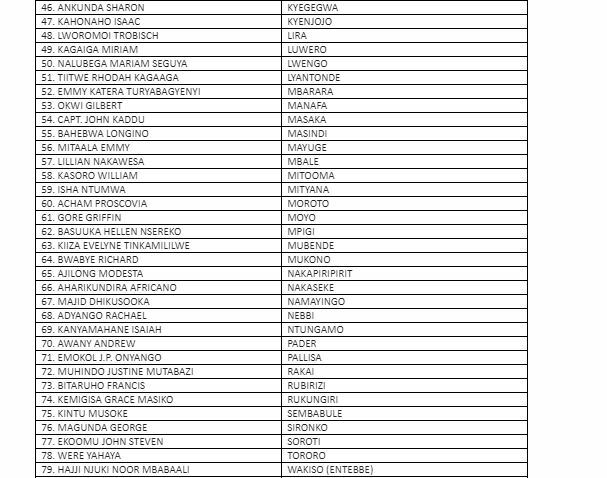 They are Sister Mary Grace Akiror, Martha Asiimwe and James Tweheyo. 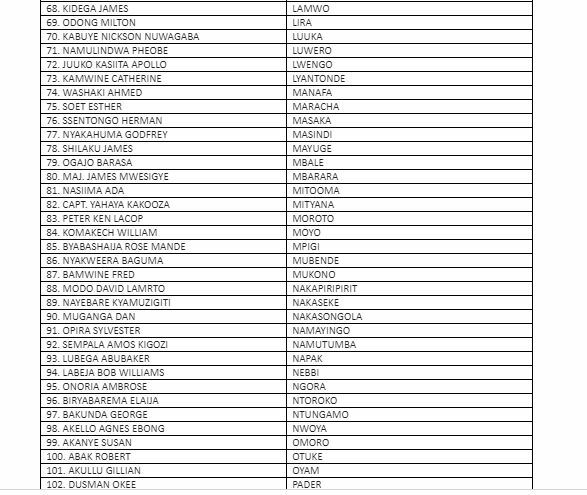 Mr Museveni halted the June reshuffle list after it emerged that it included names of people who were thought to have died and those that had moved on to other fields.